Houston Rockets guard James Harden said Thursday that he has been in regular contact with forward Carmelo Anthony, according to ESPN's Brian Windhorst. Melo was traded from the Oklahoma City Thunder to the Atlanta Hawks last week in a deal that sent guard Dennis Schroder to OKC. The Hawks are expected to buy out Anthony, at which point he will reportedly sign with the Rockets, per Marc Stein of the New York Times. "Myself and Chris [Paul] and our entire coaching staff, we communicate every single day making sure guys are in good places. Obviously, there's a lot of egos. There's a lot of talent. Someone has to sacrifice to get where we want to go. Everybody in the world knows what Carmelo brings, how gifted and talented he is. He still has a lot more to go. If he comes come to the Rockets, we'll get the best out of him." 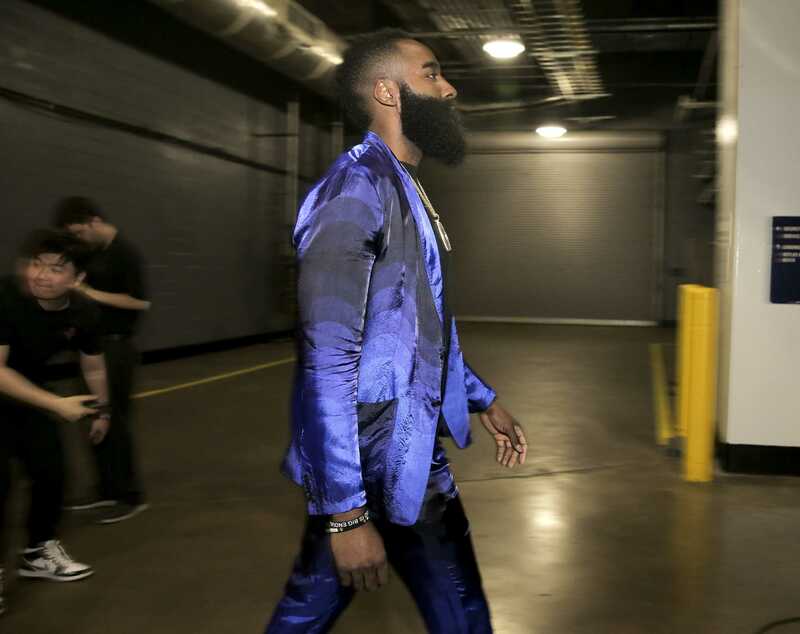 Last season, the Rockets posted the NBA's best record at 65-17, and they fell one win short of reaching the NBA Finals, as they were defeated in seven games by the Golden State Warriors in the Western Conference Finals. While Harden was named NBA MVP, Anthony struggled in his one and only season with the Thunder. Following a trade from the New York Knicks, Melo was never able to find his niche alongside Russell Westbrook and Paul George. The 10-time All-Star finished with a scoring average of 16.2 points per game last season, which was the lowest of his career. Anthony also shot a career-worst 40.4 percent from the field. With Trevor Ariza leaving Houston to sign with the Phoenix Suns, the Rockets have a void at small forward. P.J. Tucker is a candidate to start, but Melo could also start in that spot with Tucker coming off the bench. Anthony wouldn't be tasked with being a go-to guy in Houston due to the presence of Harden and Paul, but he would likely have no shortage of open shots at his disposal. If Melo can regain some of the scoring touch he lost last season, he could be the piece needed to take the Rockets from championship contender to championship winner.